Day 3 began with a bang and a thud! We were supposed to be at our race corrals by 4 am for our 10K and had set our alarms for 3:45. Sometime around 3 in the morning I was awoken by the National Anthem being sung! I leaped out of bed in a panic, thinking to myself, “we overslept!” Scrambling to see if our phones had both malfunctioned my husband sleepily tells me, “They’re just practicing, go back to sleep.” He was right! So I crawled back to the warmth of the covers to get some much needed rest. Before I knew it, we were getting ready to meet our fellow runners in our corral! We saw so many Boba Fetts, Princess Leias and other Star Wars characters all around us! It was a great day for a quick run through the parks! Before we knew it, it was 6 am and our corral was next! Off we went through the streets of Anaheim, backlots of California Adventures and Disneyland and before we knew it, we finished the race! My husband finished in 1 hour and 3 minutes and I was shortly behind him at 1 hour and 22 minutes. Not bad for 6.2 miles! After a huge breakfast and a much needed shower, we took off through Disneyland one more time and rode the rides we missed on Thursday, and a few of our favorites. We had every intention of heading over to California Adventures after dinner, but once we got up from the dinner table, it was obvious that what we needed was sleep. We were in bed by 9 that evening! The next morning we woke up super early so that we could pack up for our long trip home. We took our bags to bell services where they locked everything up safely so that we could have more park time fun before our bus picked us up later that day. Because we were staying on Disney property, we had access to Magic Hours at California Adventures. Meaning, we got access to the park at 8 am! We quickly headed over to Toy Story Midway Mania where I maintained my winning streak against my husband! Woohooo! We also rode Soarin’ and Radiator Springs Racers before meeting up with my best friend from grade school who lives in the area with her husband. Although our visit was short lived, we made some tentative plans to meet again. Of course, on the plane ride home, my husband and I tentatively discussed coming back to Disneyland in the fall to participate in another runDisney event. We can’t wait! 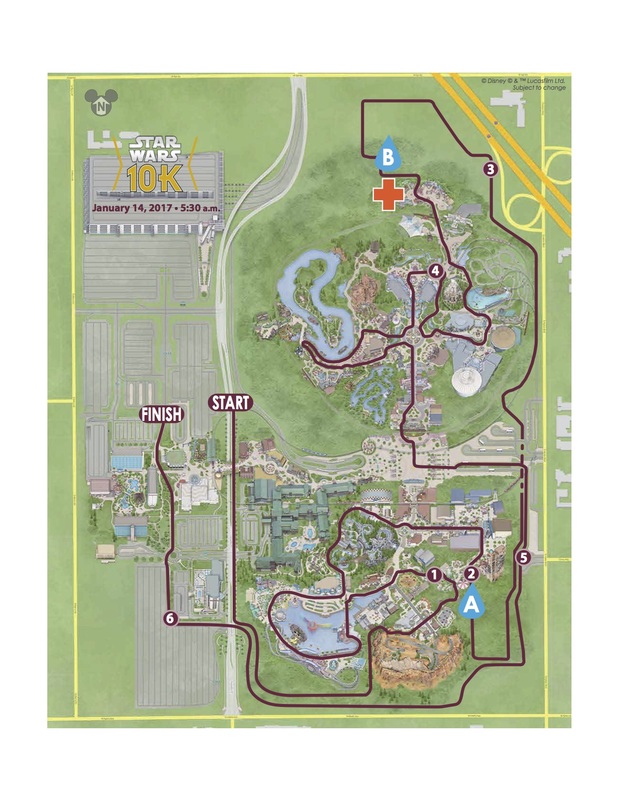 We’re definitely hooked on running through the parks. The rush you get from running in the early daylight hours, when it’s still cold outside, and the sun is peeking over the horizon just as you enter Cars Land, or the rush you get from running through the castle, or hearing Disney Cast Members cheering from the sidelines is like none other! Stay tuned for future races!!! Small World at night is spectacular! Splash Mountain has single rider canoes! We stopped in for a performance of Mickey and the Magical Map. The view from Tarzan’s tree was even more spectacular on this sunny day. I was a bit speechless meeting Boba in person.